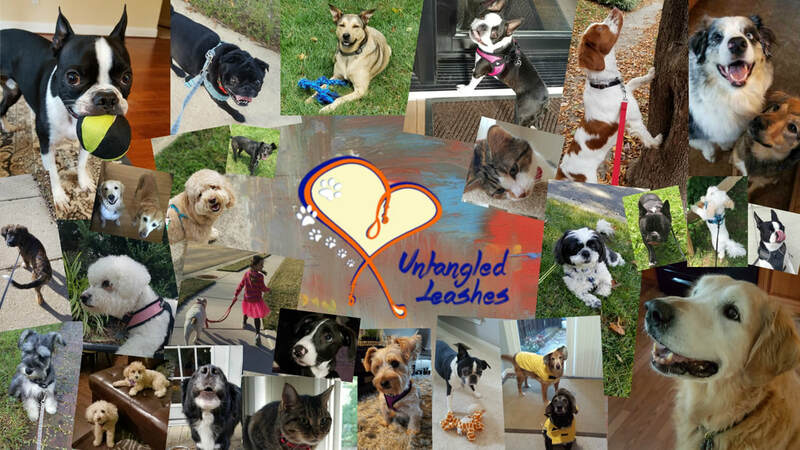 Untangled Leashes is a woman- and veteran-owned Dog Walking and Pet Sitting business located in Falls Church, Virginia. Our services are available 7 days a week and for overnight in-home pet sitting. Please fill out our contact form to learn more about availability in your area! We understand how hard it is to leave your pets in the care of others. Who can you trust? Our reviews speak to our dedication to loving pet care and customer service. Nearly all of our new business comes from client referrals and reviews! Simply stated, WE LOVE WHAT WE DO! Collectively, the Untangled Leashes team has decades of experience caring for animals in both personal and professional settings. You can also rest assured knowing that all Untangled Leashes walkers and sitters have all been thoroughly vetted via multiple interviews and a 50-state criminal background check. From puppies to aging pets, we can provide custom care solutions for both weekly visits and pet sitting while you're away. ​Fill out our contact form so we can discuss your pet's needs! We stand out from the pack! Untangled Leashes fosters client confidence through accountability. All of our walkers and pet care providers use a GPS-enabled mobile application to check in and out of each service. You will receive a notification each time your walker or pet sitter departs from your home. This provides you with real-time certainty that your pets are being taken care of. 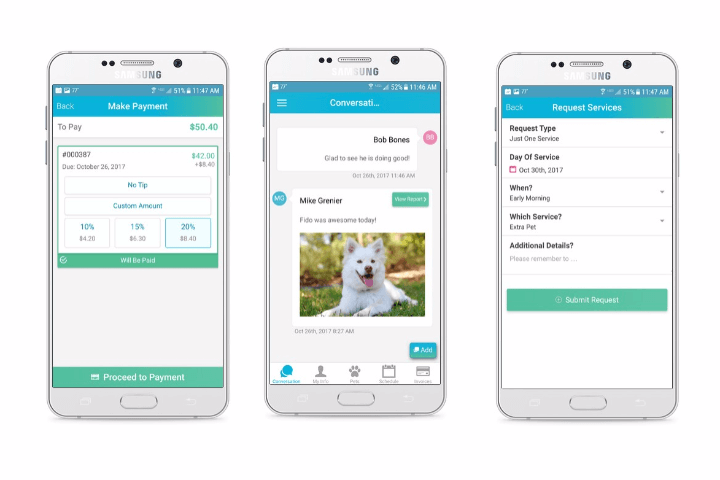 You’ll be able to track GPS coordinates of your dog’s walk, communicate with your walker or sitter, manage your dog walking or pet sitting schedule, and pay for your services through the secure (mobile-friendly) customer portal OR client app! Please fill out our contact form to learn more!